South Sudan’s President Salva Kiir told Danon that Hamas chiefs Khalid Mashaal and Ismail Haniyeh had approached him and requested that he refrain from diplomatic ties with Israel. They said, among other things, that Arab countries have no ties with Israel. 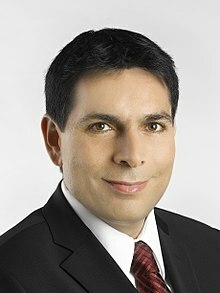 He told Danon that his country would establish its embassy in the city of Jerusalem, rather than in Tel Aviv, like most countries. He also promised to visit Israel soon, in response to Danon’s invitation. In all seriousness, this is absolutely fantastic. A people yearning to be free of terror support a people yearning to be free of terror. Now if we can get both of them to act – I mean really act on it – then we’re gettin’ somewhere. This entry was posted on Tuesday, August 30th, 2011 at 07:19 and is filed under Main Postings. You can follow any responses to this entry through the RSS 2.0 feed. You can leave a response, or trackback from your own site.